By now, you have probably heard that some people have been seeing their Super Smash Bros. Ultimate save files get corrupted ever since Piranha Plant was released last week. Well, Nintendo has released a statement about the matter. According to Nintendo, “we are aware that some users are posting about possible issues with the latest Super Smash Bros. Ultimate update. After extensive testing, Nintendo has not been able to confirm that there is an issue, although we will continue to investigate and monitor the situation”. A rare bug is the worst! Dreamcast guy, you better give some better details if you want this patched! This piranha plant has obviously grown from a bad seed. Wow. 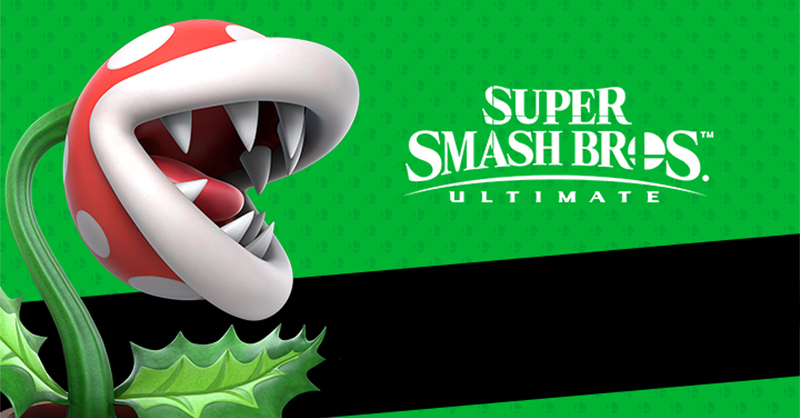 Everyone’s been excited of using Piranha Plant in Smash Ultimate. It’s funny how the most awaited thing just ruins everything. I guess that’s one Smash character with an insatiable appetite. I hope Nintendo will come up with a solution for this the soonest. I hope the next characters no joke! Get a feel this is a rumour. And if I can speculate it’s a rumour that Nintendo either started or waited to debunk so people would feel anxious enough to buy Switch Online for backup. Ofc long stretch and people might have the bug, but I can’t say I’ve seen anything really solid in this case. A while ago there were people complaining about a save bug in a 3DS pokemon game, i believe it was sun & moon, long story short there wasn’t a problem with the patch or game but a compatibility issue with whatever extra software users had hacked into their system. Although, I don’t know the details of the save glitch in this game, which according to various sources it is not exclusively during All Star Mode, it is being claimed to happend more commonly there to the point it is almost guarentee to happend during it. If nintendo can’t find such a bug then we might assume the people expeiencing this are running additional software not from Nintendo? Also, if third party software is found to be the source of confirmed save bug(s), are users also experiencing more lags then they should during online plays due to this? Theoretically the people who hack their switch are smart enough to not go online when using their hacks, otherwise facing permabans. So no, there probably isn’t any issue with lag online with hackers. i believe the bug in question was X/Y not Sun/Moon and said bug if you save the game in the North or South Boulevards of Lumiose City which causes the bug. the Sun/Moon save bug is the result of an unauthorized homebrew program aka hacking. AFAIK just stay away from All Star mode and you should be good. But why though… Meh! I wanna play! While everyone is enjoying Piranha Plant, I’m just sitting here waiting for my Redeem Code. Nintendo never sent me mine despite me registering my game on release. I contacted them about it and they said they would look into it. Check your junk box or older emails. Check your Spam and Promotions folders in your email. Should be there. There are definitely issues with Piranha, sometimes he literally does not appear in my character select screen and I have to reset the game until he shows up. Also I played Classic mode with him, and the next time I tried play Smash, the game actually wouldn’t load. It’d just be a black screen for minutes. This happened around 4 times. Seriously?! That’s awful! I hope they fix that next update! For now pretend he’s not a character. I hope so too dude! It’s really annoying! Counterfeit SD Cards caused the Smash Delete Save data!